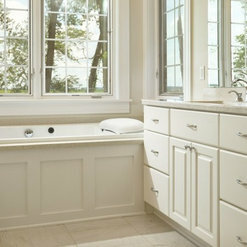 Custom cabinetry manufacturer specializing in Kitchen & Bath Cabinetry for the home or office. Known for our Signature Drawers and our Candlelight Finish we make exceptional cabinets. We did a complete kitchen remodel and after reading great reviews of Candlelight Cabinetry, decided to go with this brand. We went through our dealer for the kitchen design, and went with painted wood cabinets. Upon delivery, my contractor and I noticed problems with the finish on many of the cabinets. There were areas that were not finished well. The cabinet doors had rub marks on them in various places. Some of the cabinet doors looked like the finish was not put on evenly, and some had light scratch marks on them. Because we were facing time constraints, the cabinets were installed, and my contractor told me to call our dealer to report the issues. We had also ordered some different pieces of molding to finish the look of our kitchen. The molding was delivered with a poor finish and multiple scratches as well. Our dealer came out and we showed him what we were dealing with, and he agreed there was an issue, and contacted a representative who was sent out. We showed them the problem areas, on the cabinets and molding. They took some of the worst of the cabinet doors (not all of them) to refinish. 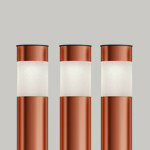 They sent out more molding, which looked better than the first shipment we received, but they still had some problems. The refinished cabinet doors did look better after being refinished, however, we still notice that the finish on these cabinets does not last long.They scratch easily and we are very careful in our kitchen. Honestly, we are almost too afraid to use our kitchen because the finish on these cabinets are so fragile. After spending thousands of dollars, we felt they should have at the very least, refinished all of the cabinet doors, not just some of them, but our representative told us that would not be possible. We have only been in our kitchen but a few months, and though the refinished ones are holding up a little better than the ones they did not refinish, they still scratch easily. I've waited years to redo my kitchen, only to be disappointed with it. Personally, I would not recommend this line. Though they are constructed well, I feel that the painted factory finish could be better. I have sold many Candlelight kitchens and my customers all have been extremely happy with the quality of the finish, detail and customer service. They are definitely worth the wait if your looking for true furniture quality for your home. 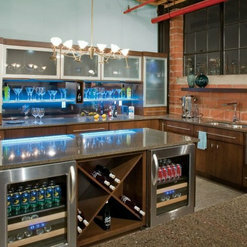 I would put these cabinets in my own home ! We are a kitchen and bath design firm located in Berkeley Heights, NJ. We started selling Candlelight Cabinetry in 2013 and we couldn't be happier that we made the decision to bring them into our showroom! 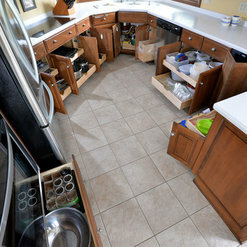 The quality of the cabinetry and finish is fantastic. 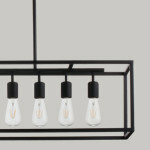 The customer service and quality control team are very responsive and a pleasure to work with. The order entry and job completion staff are also wonderful and helpful with any questions we may have. 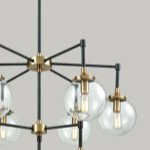 Candlelight is a cabinet company that understands the true meaning of quality and customer service. We are a Kitchen and Bath Design Firm in the Rochester New York area. We have sold Candlelight Cabinets for years, and it's still our favorite cabinet line. We love the customer service Candlelight provides to us as dealers and to the clients we service. The contractors who have installed Candlelight Cabinets give only compliments, and wish more cabinet lines were made with such care and concern about the final product. We are proud to be teamed up with this (upstate-NY-local) company. If you're considering getting a Candlelight kitchen look no further. 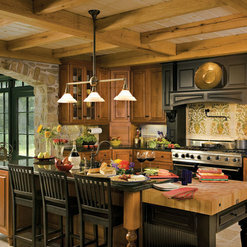 Cypress Design Co. is a kitchen and bath designer firm that has been opened since 2005. 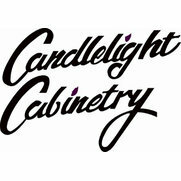 Candlelight Cabinetry, Inc. was one of the first lines that we carried, and still proudly sell today. The craftsmanship involved with Candlelight's cabinetry is second to none. 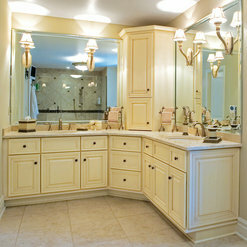 3W design, inc. has been purchasing cabinetry from Candlelight Cabinetry for over 10 years. We continue to buy their cabinets because of their high quality and craftsmanship. 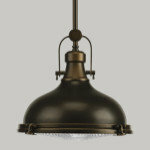 They offer beautiful door styles and their finish stands above the rest. Designing with their cabinetry has made many of our client's dreams become reality. Their representatives and employees are always available and they treat every order we place with importance. 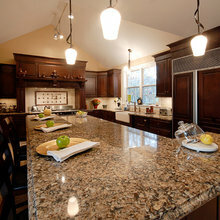 Commented: Love the countertop!Thank you for the question! Unfortunately like the floor, I don't know what material or color it is. But if you want to know about our cabinets I can help! Thanks! Commented: What kind of flooring?Thank you for the question! This was an actual kitchen one of our dealers did. Unfortunately I only know the cabinet wood, color and door style and I am not privy to most of that information. Commented: Cubby and bench depthThanks for the question! Because we are a custom line it can be customized to your specifications. In this picture the utility locker is 18&quot; deep and the bench is 24&quot; deep. Commented: What is the name of the paint for both cabinets?Aurora White for the perimeter cabinets and Graphite for the island cabinets. thanks!